If you suffer from oily skin, astringent can help improve your skin's appearance by minimizing pores and drying up oily skin. Astringent is usually applied after cleansing, but before moisturizing. 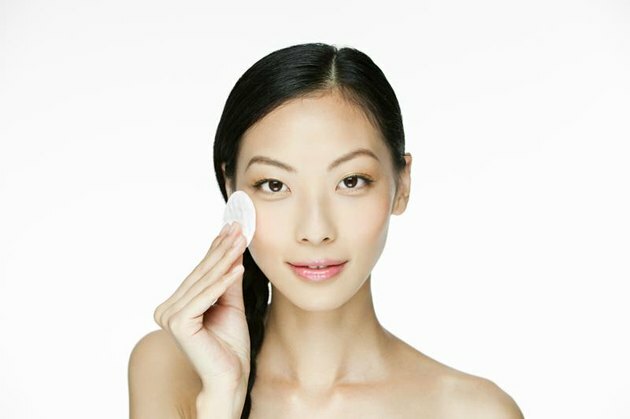 The alcohol-based product can also help remove bacteria and leftover traces of cleanser or makeup. The astringent family includes alcohol, cider vinegar and witch hazel — a plant used for a variety of medicinal purposes and known to reduce inflammation. They can be applied directly to the face to help tighten the skin; however, if undiluted, these liquids can cause excessive drying. Because of the harshness of the undiluted liquids, a better option for those with oily skin might be consumer beauty products sold as "astringent" that combine alcohol and/or witch hazel with other ingredients in their formulas to help tighten the skin. 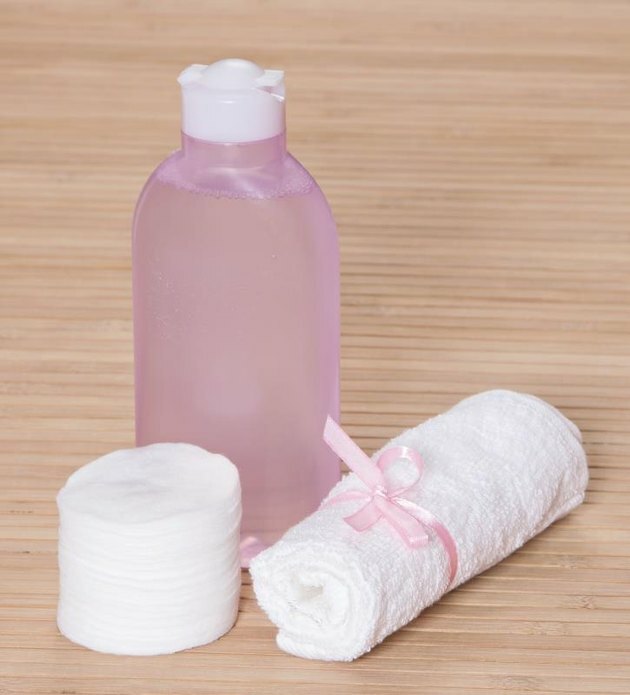 Dermatologists and beauty experts also often recommend a "toner," which is milder than astringent, contains glycerin and some form of glycol at its base (generally not alcohol) and can help balance the skin's pH, which is a measure of the acidity or alkalinity of a substance. Astringents and toners have been marketed as part of an effective skincare routine, particularly for their ability to remove excess oil; however, beauty experts disagree about the benefits of using astringent if your skin doesn't require it. "It kills me when patients tell me they are using astringent on their skin," New York-based dermatologist Kavita Mariwalla told Self magazine. Alcohol-based astringents strip the skin of its natural oils, so men or women with exceptionally oily skin may benefit most from using these products. For people with normal skin, they may remove too much oil and do more harm than good. In addition to removing oil, astringent is known to close pores and contract body tissues. You don't have to buy ready-made products to reap the benefits of astringent chemicals; plenty of natural ingredients perform the same function. 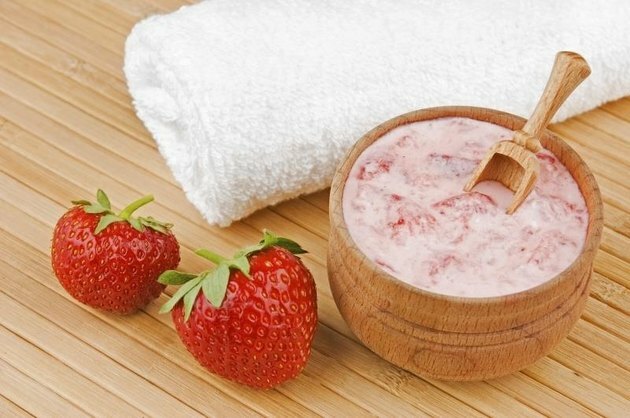 Try a pore-tightening lemon and strawberry face mask, for instance. "[Berries] are a strong astringent, so they tighten the skin and minimize pores," Soheil Simzar, a dermatologist in Santa Monica, California, told Real Simple magazine. The berry seeds can also act as an exfoliant and remove grime trapped in your pores. Astringents are losing favor with skin-care specialists who more and more recommend using alcohol-free products. Toners are known to help balance the pH levels on your skin. L.A.-based skin-care expert Kate Somerville told Vogue, "Back in the day, toners were used as a second layer of cleansing to rebalance the skin's pH levels after washing your face." She agrees that you need oils to maintain a healthy skin and some astringent ingredients can be very harsh. Alcohol-free toners may benefit people with dry skin the most, since they provide a refreshing and soothing effect without stripping healthy oils from the skin. People with normal skin may also find that astringents dry their skin excessively, causing dry patches, flaky, scaly skin and possibly even acne. As you consider whether astringents are right for you, keep in mind that the oil your skin produces is healthy, and you may want to avoid stripping it away entirely or you could be left with very dry skin. It all depends on how your skin responds.